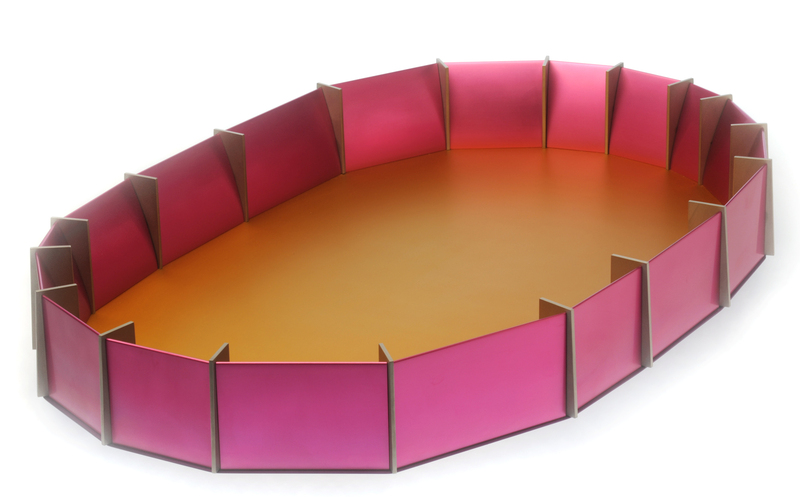 Joannes Kuhen, Vessel, anodised aluminium, titanium (2009). 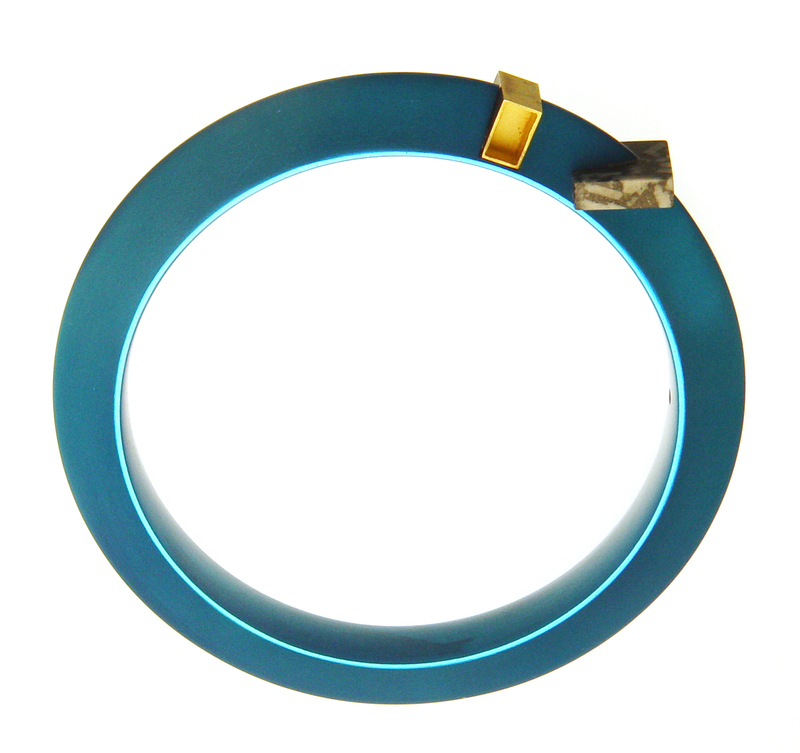 Joannes Kuhen, Armring, anodised aluminium, gold 750, granite (1990). 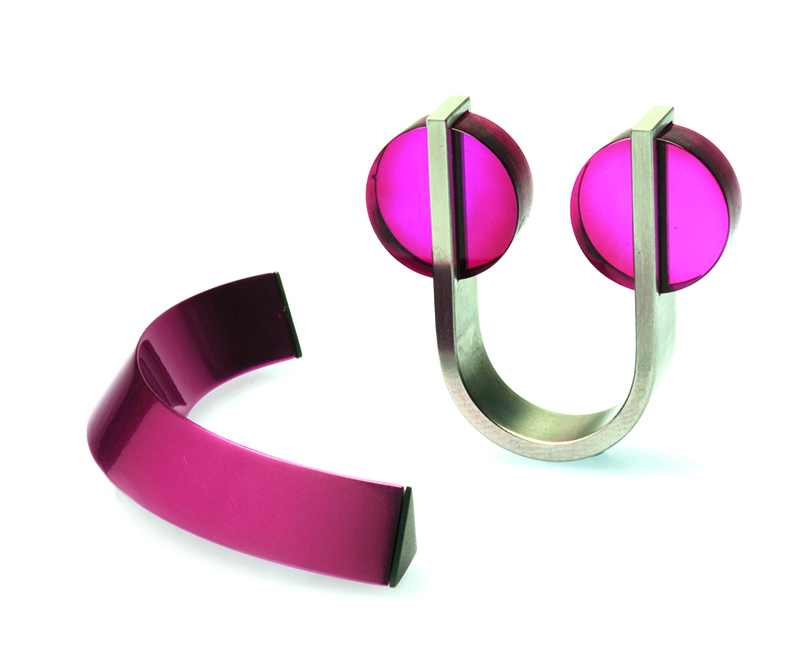 Joannes Kuhen, Brooch, anodised aluminium, monel (2003) & Ring, stainless steel, synthetic ruby disc, (1972). 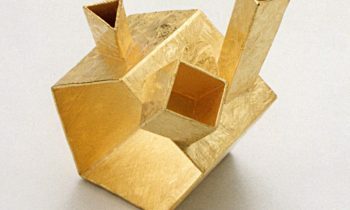 Johannes Kuhnen has made a pioneering contribution to Australian design and gold and silver smithing through his commitment as a generous educator and innovative practitioner. 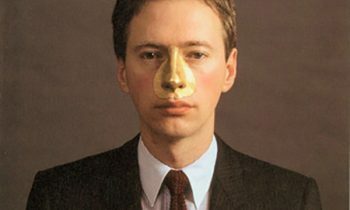 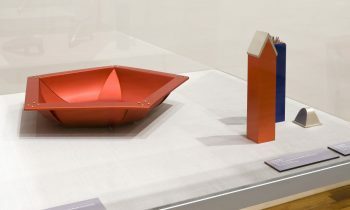 This exhibition will create linkages between his earlier works, some of which was made in Germany prior to migrating to Australia and new work specifically produced for this exhibition and this will be done both with objects and through a catalogue/monograph to be launched at the opening venue.